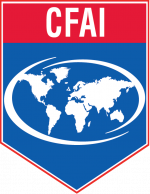 Currently, the Commission on Fire Accreditation International (CFAI) holds public hearings twice annually to render a vote on granting accredited status. These hearings are in the spring at CPSE’s Excellence Conference and in the summer at IAFC’s Fire Rescue International. Check back for updates to this page, including hearing agendas, webcasting information, and more. Below are two sample accreditation hearing videos so your agency can become familiar with the CFAI hearing process.